Silk Naturals is a U.S brand which was recommended to me by Jen of Jen's Green Skincare. I placed a small order under £15 so as not to incur custom charges. The main reason for my purchase was to obtain the Chromatic Cream Eye Color in Marvel. It's described as "sheer golden, coppery, with a little bit of pink interference color" but as you can see below appears silver on my skin tone. It's a very interesting colour and I like the ease of a doe foot application. You can blend with a brush or I like to use my fingers. Score is a loose mineral eye shadow described as a shimmery pink champagne. I really like this colour but it's fairly similar to Shiro Cosmetics Doge, perhaps just a hint more pink to it. 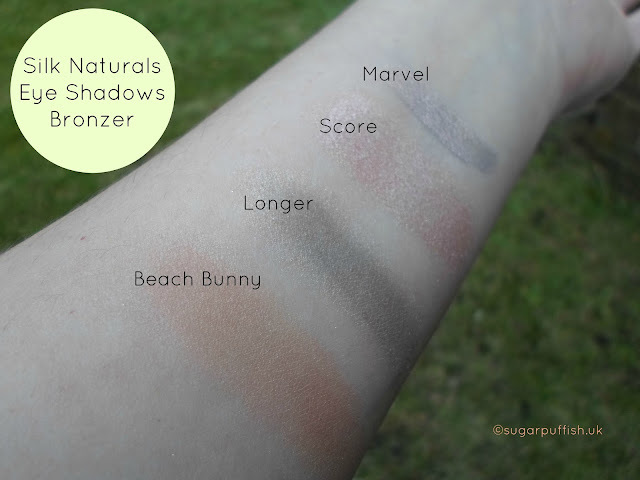 I ordered a sample of the bronzer Beach Bunny and it's a good shade for paler skin, not too orange or brown. Longer was a gift with purchase but sadly not a colour that interests me too much. I like that Silk Naturals is affordable and the cream shadows are a nice option. Delivery took a little longer than anticipated but I can't grumble too much considering the distance my order travelled. 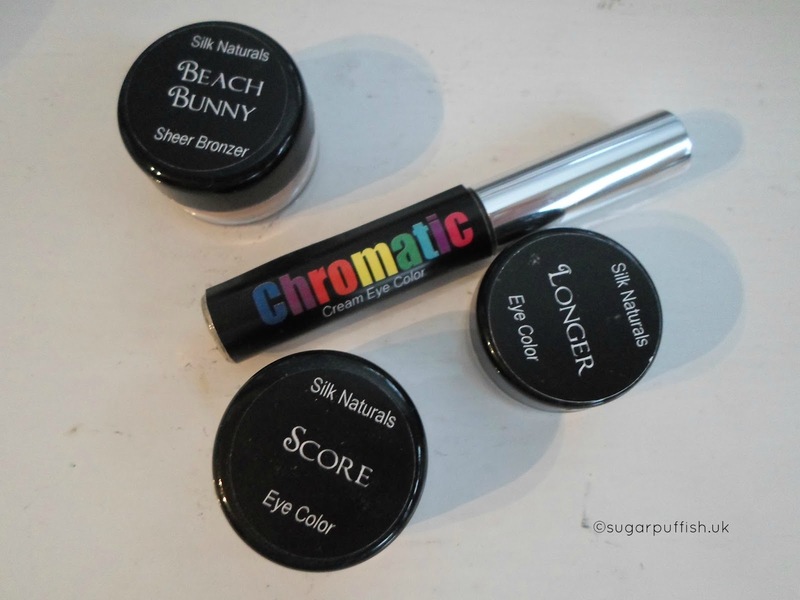 I would certainly be interested in buying some more Chromatic Cream Shadows in the future. Have you tried any Silk Natural products? Oh wow, these colors look subtle and beautiful. I especially love "Score" -- I could see it maybe being used as a subtle highlighter as well!